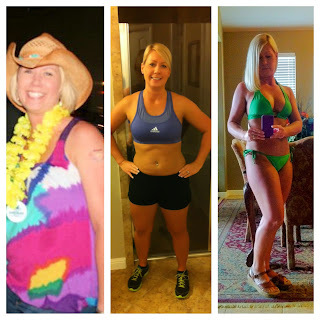 I started Texas Fit Chicks at the Crosspoint Church location in McKinney, TX, about four months ago with trainer, LeighAnne Maloy. Going into the boot camp, I had previously tried losing 20-30 pounds on my own with little to no success. I would lose a few pounds here and there, but nothing stuck, with my workout routine or dieting efforts. From the first workout with LeighAnne, I began to see that I wasn’t challenging myself enough and had no idea what I was doing on my own. I love the variety and intervals she shows us during each workout. It is NEVER boring and always engages different muscle groups. I always leave her class feeling accomplished, successful and full of energy. Four months in, and I can honestly say that I’m hooked! My eating habits have changed; I now look at labels and ask questions when dining out. My energy level with my child has increased and I’m more productive in my personal and professional life. I am so glad I discovered Texas Fit Chicks and would highly recommend it to anyone looking to make life long changes to their personal health! Grab our GROUPON deal of the day HERE - hurry! Just 3 days left to purchase!